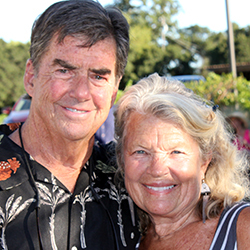 The Parkpoint Clubs are privately owned by the Buchanan family and were started by Bill and Lindy Buchanan, local Santa Rosa residents. Bill Buchanan developed the Parkpoint Business Park in Santa Rosa and built the first Parkpoint Club as part of that development. The club opened for operations in August of 1983 as the first full-service health club in Sonoma County. Continuing their mission to make Sonoma County a healthy place to live and work, the Buchanans later opened the Sonoma and Healdsburg clubs. Believing in the importance of balance between work and play, the clubs are designed to incorporate health and fitness needs as well as social, overall wellness, and relaxation features. The Buchanan family remain active owners and very involved members of the club to this day! Jennifer Anderson was headed for life as a corporate attorney when she suddenly realized that she would rather play. When she came to Parkpoint in July of 1995 it was a perfect fit. She really enjoys the members and the Parkpoint team, and the always-changing aspect of managing three clubs. She works out regularly—“as much for my mental health as for physical conditioning”—and has lately fallen in love with the Pilates reformers. In her other life, she is a mother, with one son, Colin, and cat Skippy. 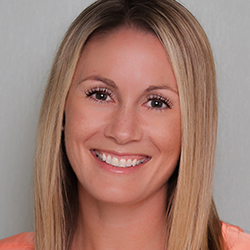 Heidi Desmond has always had a passion for health and fitness. After completing her degree in Psychology, she also completed her personal training certification and began working in the health club field as it seemed like the perfect combination to support her enjoyment of working with people as well as her love of fitness. 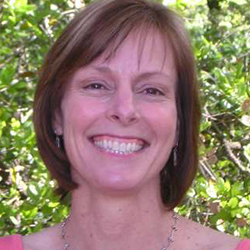 In 2005, she began working at the Santa Rosa club in the membership and fitness departments and later transitioned to the Healdsburg club as the Membership Director, Assistant Manager, and then Club Manager. After her role as Club Manager at one location, she became the Marketing & Operations Manager for all three facilities. She currently continues to work for all three clubs as the Assistant General Manager of all Parkpoint facilities. Her dedication to exercise hasn’t changed, so you will see her in classes and on the fitness floor working out! In addition to her other responsibilities at the clubs, she also teaches group exercise classes, so join her in class to get a great workout, sweat and have fun! 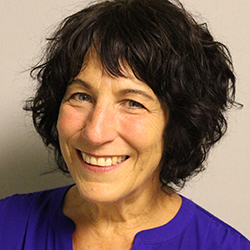 Nancy joined the Parkpoint team in 1985 as a group exercise instructor with a background in and a passion for dance. Through the years she moved into management becoming the Group Exercise and Program Director for Santa Rosa and Sonoma Clubs before serving as the Santa Rosa Club Manager for 20 years. Nancy has always had a love for staff development, along with a dedication to creating a positive team-oriented work culture. This led her to her current position as the Club’s first Human Resources and Staff Development Manager; a focus she truly enjoys. Nancy also is dedicated to giving back to the community by volunteering as a bereavement counselor. In her spare time she loves spending time with her husband, tending to their home and garden in Occidental, traveling, hiking, and, of course, taking group exercise classes!